The Bullmastiff is an excellent guard dog which generally will not attack an intruder but will knock them down and hold them until the owner arrives, however don’t bank on this and a loose angry mastiff of any kind is something which generally is to be avoided for obvious reasons! They are docile dogs that are fearless and have strong protective instincts for their family. They tolerate the family’s children but dislike strangers. They adore human companionship and do not do well in kennels as they need to be at the heart of the family. 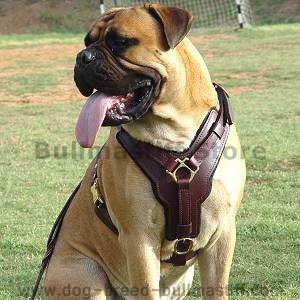 The Bullmastiff is not the right dog for a novice dog owner. 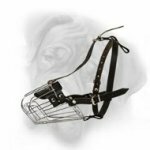 They need an owner that can assert authority over them WITHOUT mistaking this for toughness or harshness as that will have terribly undesirable results. 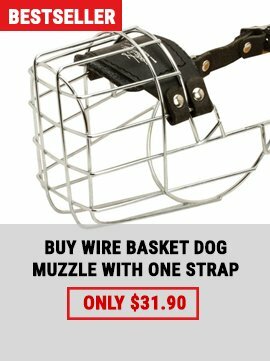 They also need an owner who is well-versed in advanced dog training methods. Bullmastiffs are sensitive to the tone of their owner’s voice and do not like anger or impatience. They need firm and consistent training. These are not particularly easy dogs to care for. They have many health issues, they drool, they dislike hot and humid weather and ideally shouldn't live in small spaces such as appartments. Anybody that is considering choosing a Bullmastiff would be well advised to do extensive research into the breed and be totally confident of their own ability to train the dog and be able to physically restrain them if ever the need arose, not a task many people I have met are totally capable of, though it is certainly a lot of fun trying! Eyes must be clear and bright and free of discharge and any other abnormal conditions, the ears should be checked regularly and if you smell a bad odour or the ear is very red see your Vet. Nails to should be cut every week and when you start at a very young age with your puppy, it should just sit there and let you cut the nails. Take caution not to cut the nail too close to the quick, as this can make the nail bleed and may make trimming the nails more difficult in the future if your dog remembers. The first 16 weeks of life is crucial in determining a dog’s future personality and behaviour. 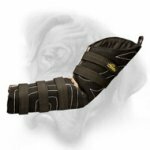 During this extremely impressionable period, many things that your puppy is exposed to can be imprinted permanently in its memory. Early socialisation is essential to owning a well adjusted, easy to live with dog. Bullmastiffs need a strong-willed, dominant owner who is consistent in his/her expectations and can bestow discipline and love equally. You should endeavor to introduce puppy to your family and friends regularly so that it becomes accustomed to new people and situations. Once your puppy has completed all his vaccinations, you can take him for trips to the park, or the shopping centre, or wherever he will be exposed to new people and situations. It is also extremely important that your Bullmastiff is controllable around other dogs. Puppy pre-school is an excellent way to socialize your puppy and is available in most areas through your local Veterinarian or local dog-training club. This enables your puppy the opportunity to meet and greet puppies of similar age and size. Again, your puppy will have needed to complete his Vaccinations prior to attending. Please ask your vet if you have any concerns. General obedience classes can commence once you graduate from Puppy Pre-school. 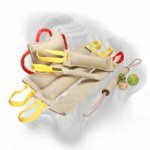 This teaches you and your dog to respect each other, as well as enabling you to learn the correct way to train and control him. Obedience can develop into a full time passion for some people, who eventually go on to Trailing, and can be very rewarding for both you and your dog. A Bullmastiff is naturally protective. You DO NOT and SHOULD NOT encourage any form of aggression. 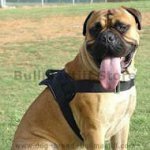 As a Bullmastiff owner, YOU have a responsibility to THE BULLMASTIFF BREED as whole to ensure that your dog is under control at all times. An uncontrollable 60kg dog can be dangerous and it is YOUR fault, NOT YOUR DOGS, if you have not socialized and trained him correctly. 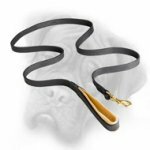 Bullmastiffs love to please, so make training an enjoyable time for both of you. Reward and praise your puppy at every opportunity when it is doing what you want of him. A small piece of food or praise serves as a great reward. A firm NO when puppy is doing something undesirable is all the reprimand you will require. Bullmastiffs have strong feelings and do not like being growled at, so they learn very quickly what you require of them. End each training session with a fun activity, such as chasing a stick or favourite ball. Puppy will soon look forward to training! Your puppy will need to be lead trained before you take him to any outing including Puppy pre-School classes. 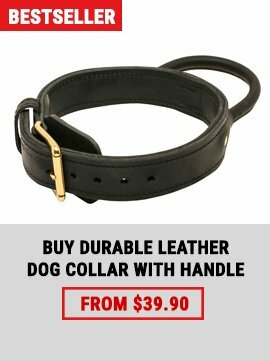 You will need a soft leather collar and a strong, good quality leash. I always introduce puppy to the collar at least a week before placing the leash on him. That way, it gets used to having a foreign object around its neck. Puppy will probably spend much time scratching at the collar in those first few days. Ensure the collar is not too tight, it will come to accept it in a very short time. 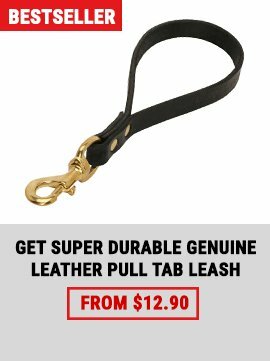 Once puppy has accepted the collar, you can start trying to lead him with the leash. This will require some patience from you, but will be well worth it in the long run. Please be gentle through this stage, this is all very new to your puppy. NEVER loose your patience, it will only serve to make your puppy nervous and your task more difficult. 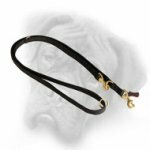 Once you have mastered the collar and lead, you can gently transfer puppy to a small gauge choker chain. 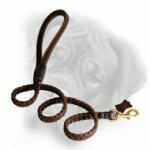 It is of utmost importance that you NEVER leave the choker chain on your puppy or adult dog after you have finished your training session. Many dogs have been caught and strangled by choker chains. This information is a small introduction to the basics. There are several good books available on dog training. Please consult your breeder, Local Dog training club or vet should you have any queries.